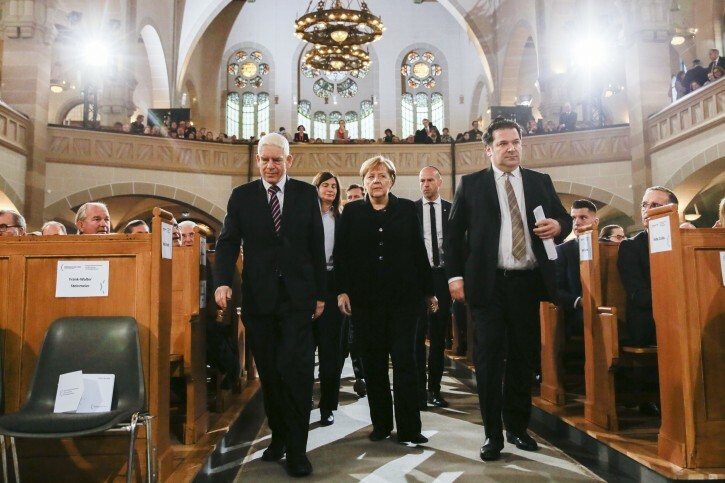 Berlin - Chancellor Angela Merkel and Germany’s main Jewish leader warned against tolerating modern-day anti-Semitism and racism as they marked the 80th anniversary Friday of the Nazis’ anti-Jewish Kristallnacht, or “Night of Broken Glass,” pogrom. 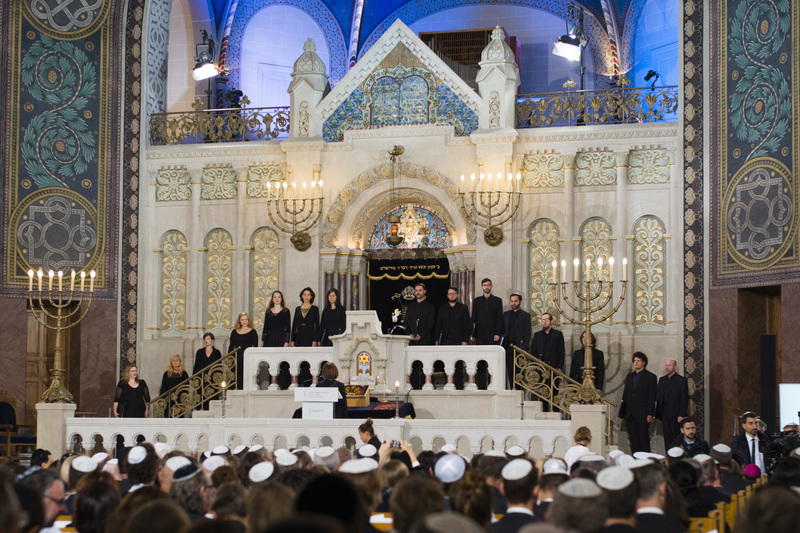 Merkel spoke in a ceremony at a Berlin synagogue. The head of Germany’s Central Council of Jews, Josef Schuster, said the building was set alight in 1938 and the blaze extinguished relatively quickly only so as not to endanger neighboring houses. He assailed the far-right Alternative for Germany party, which he said has “respect for nothing” and which his organization didn’t invite to Friday’s event. The party entered Germany’s parliament last year. In a separate speech to parliament on a day that also marked the 100th anniversary of the proclamation of a German republic after World War I and the 29th anniversary of the fall of the Berlin Wall, President Frank-Walter Steinmeier urged his compatriots to embrace an enlightened, “democratic patriotism” and reject aggressive nationalism that romanticizes the country’s history. The Treuchtlingen case was one of the first and among the largest of more than 1,000 post-war Kristallnacht trials in West German courts. A report by the U.S. military’s Counter Intelligence Corps, which sent an observer to the 1946 proceedings, provides details about the nearly 60 defendants. It shows that the Treuchtlingen synagogue was burned that night to the foundation walls. The fire department hosed down neighboring “Aryan-owned” buildings to protect them, while people rampaged through the town, mobbing Jewish homes, destroying property and looting.